The Infinity Endurance Jacket is a fully featured technical down jacket, designed for alpine winter conditions and light-weight mountaineering. 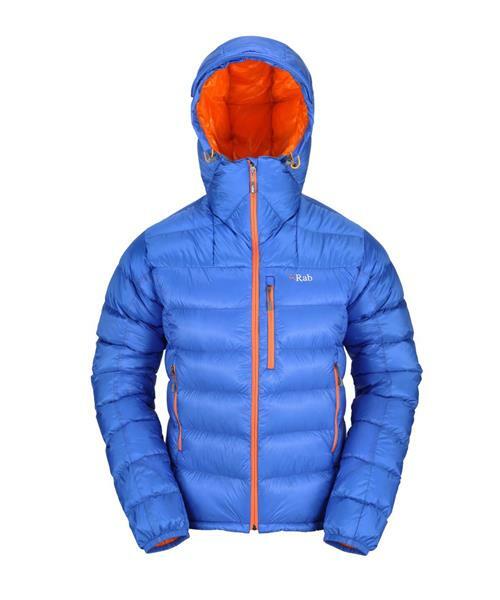 This jacket is at the cutting edge of modern alpine mountaineering clothing, offering a unique combination of technical features and light-weight, durable fabrics. The combination of Pertex® Endurance and Pertex® Quantum fabrics help to keep the overall weight of the Infinity Endurance Jacket down, whilst providing increased durability and water-resistance. Containing 210g (Large) of the highest quality 850FP Hydrophobic Goose Down, the Infinity Endurance Jacket offers an exceptional warmth-to-weight ratio. Key technical features include a helmet-compatible hood, wired adjustable peak and YKK zipped pockets throughout.